development of fine measuring instruments including our fluid mechanics, environmental, aerosol, particles and customized system products. 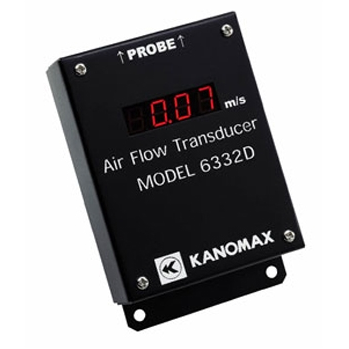 The airflow transducer model 6332/D is designed for fixedinstallation. The units can be wired with local electricfor power and can be connected to any device that canaccept analog output. 6036 Series - KANOMAX USA, Inc. The Anemomaster Professional is an excellent choice for most HVAC applications. Its accuracy rating is 3% m.v. which is equal to our competitor’s high end units. The unit comes standard with data logging for 1500 records, PC software so you can download and analyze data on a PC or prepare a report for a client, and an articulating telescopic probe that makes it easy to measure at the proper 90-degree angle even for those tricky ceiling ducts. The unit can also be programmed with several duct sizes and shapes (square, rectangular or round) and then give you volumetric flow rates for those ducts. The unit can be ordered with an optional sensor to measure pressure and analog output option. 6006 - KANOMAX USA, Inc.
Palm size and feather weight is standard on this must have quick check instrumentSingle button multi-function toggle switch for easy one-hand operationRead temperature and hold reading so the technician can easily record on their worksheet. 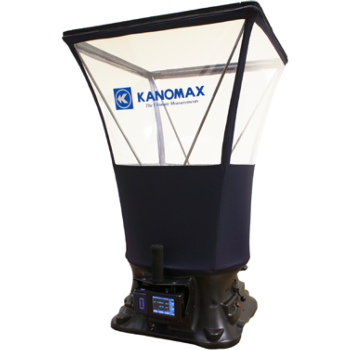 The Kanomax tracer gas diffuser is for use in performing the tracer gas test in accordance with ANSI/ASHRAE Standard 110-1995. The diffuser is made to the design and specifications of Standard drawing #110-83M. 3443 - KANOMAX USA, Inc. 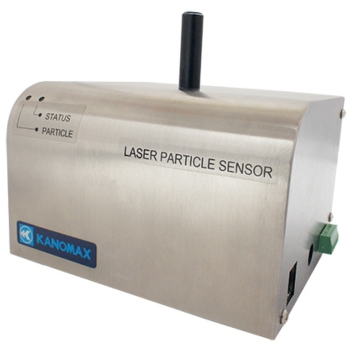 The Kanomax Dust Monitor 3443 is a compactand high quality instrument ensures highlyaccurate dust measurements via a user-friendly ∫uitive interface. 6501 Series - KANOMAX USA, Inc. The Climomaster anemometer is a research grade hot-wire anemometer that promises level 2% m.v. accuracy, making it the most accurate hot-wire in the world. It offers a ton of flexibility and options. In fact, there are 8 different probes available for it: these probes are all interchangeable and can be used with a single main unit without any additional calibration. 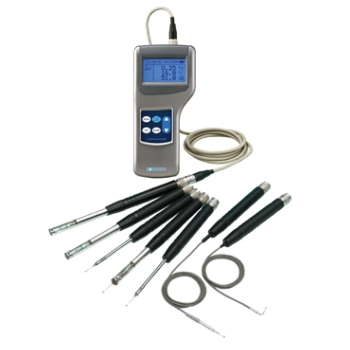 The Climomaster Model 6501 probes can measure temperature and/or humidity along with air flow. 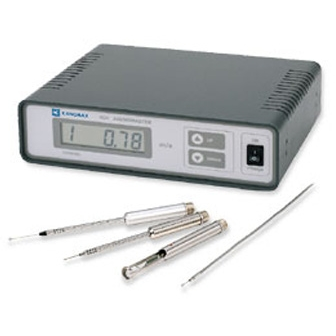 Other probes are designed for use in turbulent or high-velocity airflows and some are miniaturized for use in really tight spaces like those encountered when checking the cooling profile of a circuit board. 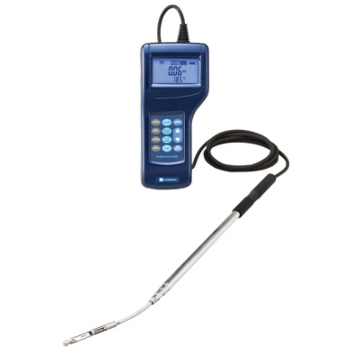 It’s the only tool you need for all your supply and return airflow measurements! 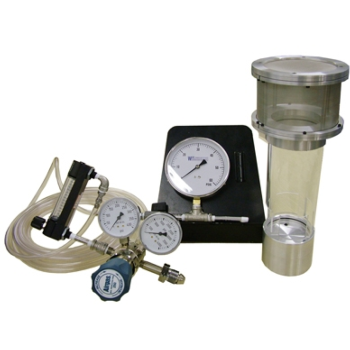 The CEGRIT Isokinetic particulate sampler is a device that can extract particulate samples of fly-ash, gift and dust from any fossil fueled Duct or Chimney stack.Once Installed and site calibrated, will automatically sample Isokinetically irrespective of changing Stack gas velocity conditions or calorific loading. 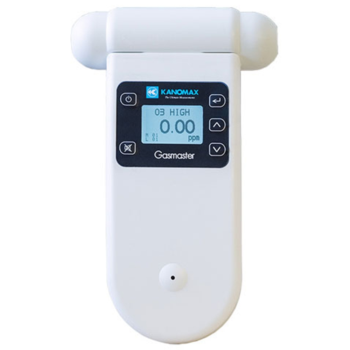 1550/1560 Series - KANOMAX USA, Inc.
Thesesystems are capable of measuring many channelssimulatenously and are capable of measuringtemperature and relative humidity as well as airflow. 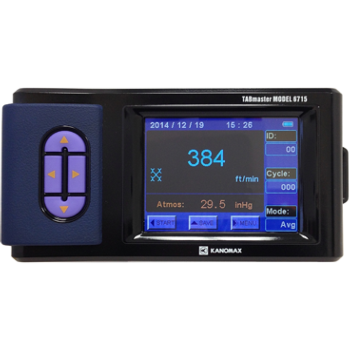 6700-VG - KANOMAX USA, Inc.
*Standard with Bluetooth™ wireless capability which allows you to send your data to your ANDROID™ device. *Supply and exhaust*Memory and Averaging*It measures airflow and pressure readings with a pitot tube or velocity grid. *Displays in both imprerial and metric units*Velocity Grid, Airfoil and Pitot tube mode*Velocity and Pressure*Auto -Range and Zero*Air Density corrected*BRIGHT color display*Dual durometer non-slip durable plastic case*Comes with hands-free neck strap*NIST TRACEABLE CALIBRATION Certificate**NIST TRACEABLE CALIBRATIONS are performed at our facility in ANDOVER, NJ. 6162 Series - KANOMAX USA, Inc. The Model 6162, is a unique anemometer designed for specialized, high-temperature testing. 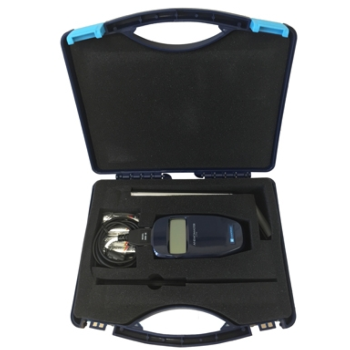 2700 Series - KANOMAX USA, Inc.
Handheld gas monitors are suitable for indoor,industrial and outdoor air quality monitoring.Compatible with over 30 different interchangeable sensor heads, one monitor can be used to measuremultiple gases and concentrations. Interchangeable sensor heads also make servicing the monitors as simple as replacing the old head with a new one.